24 hours of Your Disney Side Party in the MK, May 23rd to 24th. News 24 hours of Your Disney Side Party in the MK, May 23rd to 24th. Earlier this morning, we shared a tweet that truly featured 140 characters to officially announce the latest Disney ParksDisneyland Resort in California and Walt Disney World Resort in Florida. For the Ultimate Tweet, Mickey, Minnie, Donald, Goofy, Pluto and 135 of their friends gathered at Magic Kingdom ParkDisney SideDisneyland park and Disney California Adventure park in California will be filled with Disney heroes and villains from 6 a.m., May 23 to 6 a.m., May 24, 2014, local time. 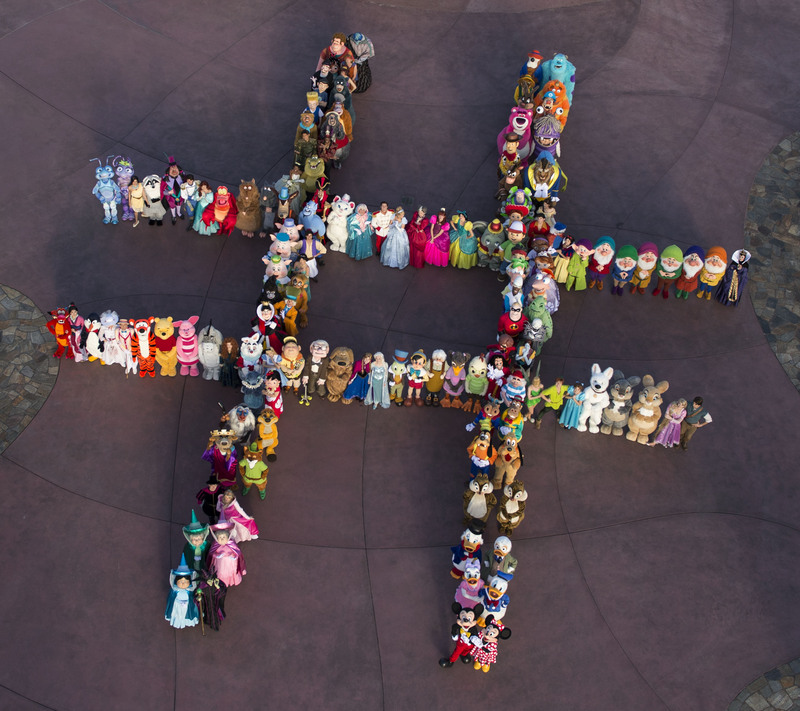 The celebration on both coasts will feature a cavalcade of events showcasing the good-vs.-evil of classic Disney stories including character meet-and-greets throughout the parks, special entertainment, event merchandise and special food and beverage offerings. Re: 24 hours of Your Disney Side Party in the MK, May 23rd to 24th. As usual I'll be there before this party but at least I'll be there for opening weekend of the Seven Dwarfs Mine Train ride. If my friend hadn't already booked their trip earlier in early May I would have moved my trip to that week! I never seem to be able to be near there when these parties happen. I wonder if they are worth it or if the crowds make it unbearable, similar to the Friday the 13th Hollywood Studios nightmare I read about here. I haven't heard that the MK gets really bad, more like typical busy crowds. It has better capacity than DHS. Can you imagine what the line for the new coaster will be like during this event. I bet that will be the worst line in the park for 24 hours. ORWEN: This is such exciting news! And I love seeing all the Disney family together--at least MOST of them. I see they left out Merlin, Bernard, Bianca, Basil, Ratigan, Mowgli and US!!! What if Mine train line is so long during the over night that it operates through the next operating day? As big of a fan of the parks and disney in general as I am I will never understand the appeal of character meets. ORWEN: You must have forgotten that it all started with a mouse. Anyway, it's too bad you don't understand but it doesn't matter because as long as Disney management continues to put out characters for those of us who DO understand, that's what matters most. ORWEN: I think so too, almandot, duckling! ORDDU: So do I. Let's join the campaign! How so? this statement has no point regarding what I just said. I can be the biggest fan of mickey mouse cartoons in the world but that doesn't mean I want line up for an hour to meet a guy in a suit dressed like him and get a picture. this was never condemning anyone who does like these experiences, and I realize that there is obviously a huge audience for them particularily for children, just simply a statement that I don't really get the appeal except for the new talking heads, those seem pretty cool. there was no need to get defensive. ORDDU: We're sorry that you misinterpreted our responses as being defensive. They weren't meant to be that. Instead, they were meant to be a reaction to someone who doesn't seem to understand the appeal the characters have for so many who come to the parks to meet them. The main point to be made is that Disney management DOES understand the appeal of the Disney characters and that's what matters most. For those who don't care for the characters, there are always plenty of other options for them. For those who DO care about the characters, thankfully they will always be around. Sounds like a win-win situation, if you ask us! Where have you seen when its opening? Cast Member previews have happened which mean a general opening is soon to follow. Reported today on the comment section of and official Disney Parks Blog with pictures from the top of the attraction. On schedule for spring but not final date known. "But it began with a man." youtube it, i have seen talking mickey's and minnie's but none of the others as of yet, redardless it looks like a pretty cool way to interact with the characters. I tried you tubing it, but not sure what to search for.